Zhengzhou, as an outstanding tourist city and one of the eight Chinese ancient cities, is always the first destination of any Henan tour. Located between the upper and middle reaches of the Yellow River, this ancient and lively city is the cradle of the splendid culture of the Chinese Nation. Here we base our Yellow River Tour. Mt. Song - one of the Five Famous Mountains in China, sits in Northwestern Dengfeng, Zhengzhou City. Mt. Song Tour with Shaolin Kung Fu performance is another popular tour in the city. Additionally we recommend the Downtown Tour which focuses on some memorial, museum and historical sites. Now we will introduce the three tours in a little more detail. The best place to experience the culture of the Yellow River is the Yellow River Scenic Area in this city. It is about 30 kilometers (18.6 miles) northwest of Zhengzhou, situated on the southern bank of the Yellow River. There are green lands, clear waters, pavilions, scattered statues with interesting histories, inside the scenic area. With more than 20 years of development, the scenic area is now a national tourist destination with modern amusement facilities, which appeals to thousands of tourists from all over the world. 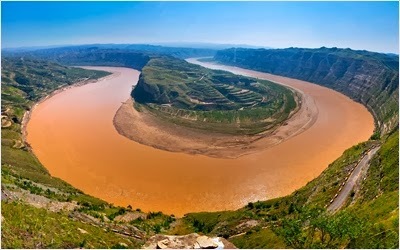 This Yellow River Scenic Area is the ideal viewpoint to appreciate the mother river of China. Erqi (meaning Feb. 7th) Square, located in the center of the downtown area, is the busiest commercial area in Zhengzhou and even Henan Province. There are many department stores and restaurants, which should not be missed. 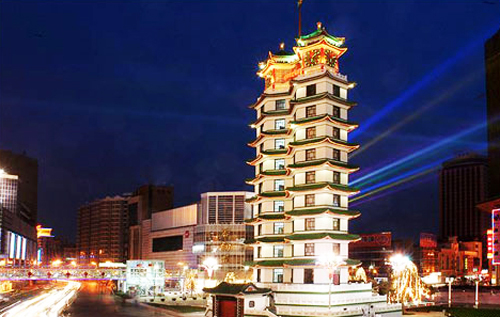 The most eye-catching architecture on the square is the central Er' Qi Memorial Tower which commemorates a strike that happened on Feb.7th, 1923. 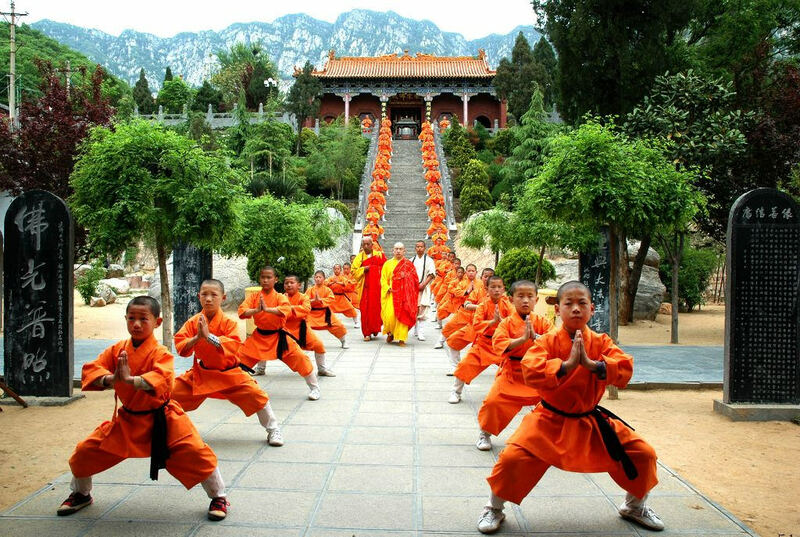 Shaolin Temple embraces many exciting attractions, such as the Hall of Heavenly Kings (Tianwangdian), the Mahavira Hall (Daxiongbaodian), the Pagoda Forest, the Dharma Cave and the Martial Art Training Center. Visitors may follow the virtual guide to visit the temple.